Sprinkle puffed crystal salt on wet painted fabric to create brilliant bursts of color. 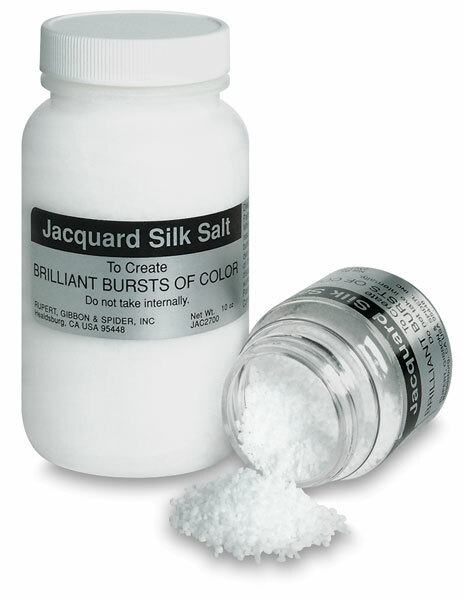 The salt absorbs the dye as it dries, leaving exciting textured halo effects. Works best on medium to dark shades.